Chiropractic care has been around for a century now. 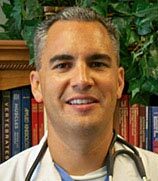 Various experts in the field like Dr. Aaron Richardet have already spent their life providing the healing touch to many. The elderly stand to benefit the most from this spinal manipulation therapy, which aligns the misaligned spine to get rid of insufferable pain. Many seniors are unaware of the benefits that chiropractic care has to offer. Some of the most visible and frequent benefits are included in this list. This one is a no-brainer. Chiropractic treatment is one of the safest alternative to relieve yourselves from pain. When the solution is getting addicted to pain pills, this comes as an instant relief for people of old age. It is very effective due to the fact that most spinal disorders are related to the misalignment of the spine. The doctors, involved in treating the patients, like Dr. Aaron Richardet, are trained so that they can identify and treat the subluxations of the central nervous system. Compared to this, anti-pain pills and anti-inflammatory medications only mask some of the symptoms and often have undesirable side-effects like addiction. 2. Enhanced Motion capabilities of the spine and other extremities. It has been shown repeatedly that chiropractic care is a safe and effective way to increase the range of motion of not only the spine but also the extremities. As the age of a human being progresses, the range of motions of the spine and limbs become extremely limited. Increase in these motions can affect the lives of people positively. For most of the elderly people, an increased range of motion means bending down and picking up their grand-children. It also means (for some people) that they can spend their time gardening instead of sitting all day. 3. Better balance and coordination in the extremities. The problems faced by elderly people in balance and co-ordination are mostly due to degenerative cells or injury related. This effects mostly the cervical region (neck area) of most elderly people. There are structures referred to as mechanoreceptors located in the posterior (back) of the cervical region and are responsible of sending signals to the brain that are directly related to balance and co-ordination. The mechanoreceptors present in the posterior cervical joints are responsible in providing the required input about the position of the head in respect to the body. With passing age, it is possible for these receptors to degenerate due to mild defects. This further results into loss of proprioception, which is the sense of body awareness. To overcome this loss, chiropractic care is used as an effective treatment. Research indicates that chiropractics have the ability to restore body balance and the co-ordination mechanism on which it functions. A misalignment in the spine can cause wear and tear eventually. Since all the parts in motion wear out eventually, it is essential to get periodical chiropractic adjustments regularly. Chiropractic care can make sure that the spinal degeneration level decreases significantly and also other arthritic changes that effect the body by normalizing the spinal misalignment, and reducing spinal stress. 5. Enhanced health and way of living. There is always more than just pain relief included in a chiropractic adjustment. As your age progresses, your health deteriorates naturally. Cells begin to die and new cells do not replace the old dead cells. Hence, it is only natural to expect the spinal cord to degenerate and cause malfunctions for certain extremities. Regular chiropractic sessions can make the misalignment of the spine disappear, restoring regular bodily functions. Thus, chiropractic care can not only provide pain relief but also promote healthy and fit way of living. 6. Reduced number of falling accidents. Injuries due to falling are prevalent in large numbers in people who fall under the elderly category. The Center for Disease Control and Prevention (CDC) estimates that falls among people over 65 are responsible for 90% of the bone fractures which occur annually. Chiropractic care can provide a safe and effective way of reducing the number of falls by re-aligning the mechanoreceptors on the posterior of the cervical region. Apart from regular chiropractic sessions, experts like Dr. Aaron Richardet also suggest several stretching exercises to increase flexibility, strength, mobility, balance & co-ordination. A study conducted by Dr. Ian Coulter in 1996 titled “Chiropractor Care for the elderly” made some observations about the conditions and disorders faced by the elderly. Only 44% of the people who used chiropractic care had arthritis compared to 66% of the non-chiropractic care group. The people who used chiropractic treatment sessions were capable of performing strenuous exercises compared to the ones who did not receive any sort of treatment. The key point of the study showed that only 5% of the people who received some form of chiropractic treatment lived in a nursing home while a staggering 48% of the people who did not receive any form of treatment had to opt for a nursing home accommodation. A similar comparison in the study found that 26% of the people who used chiropractic required hospitalization while 48% of the non-chiropractic group needed hospitalization. 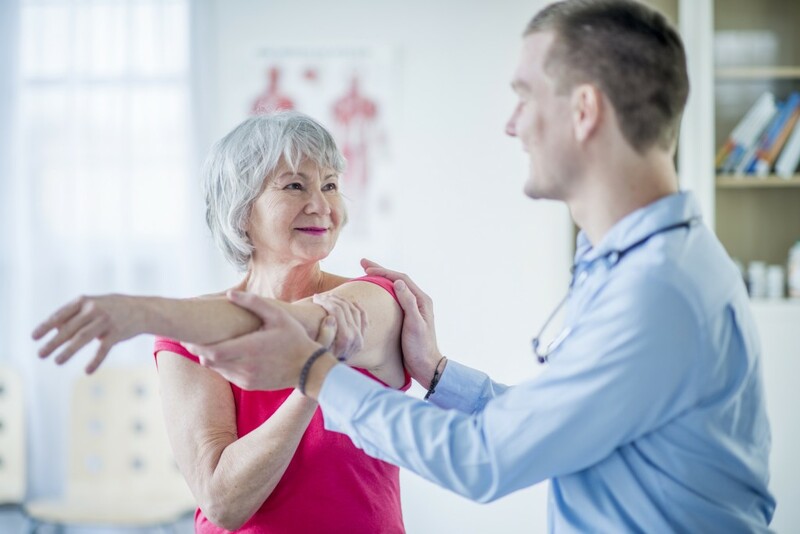 There is no need for senior citizens to suffer from various conditions that can be treated safely and effectively by expert chiropractors like Dr. Aaron Richardet. Chiropractic adjustment is known as the art of healing as it taps into the body’s natural ability to heal itself by aligning the spine accordingly. Various conditions causing degeneration in the body thus can be effectively treated using chiropractic care. A spinal adjustment might just be the right treatment you need to rid yourself of that insufferable pain. It is always advised to consult an expert in the field first before proceeding on with the treatment courses. He or she will advise what the best course of action will be and also how soon you can relieve yourself of pain.